A blend of pure turmeric powder and 5% black pepper, which comes in a handy 2kg tub. The main active ingredient in turmeric is curcumin, which has been identified as a potent anti-inflammatory and anti-oxidant in humans and is reputed to be beneficial in horses. It can be used to maintain healthy joints, promote good digestion and support a healthy skin & coat. Black pepper has been included to aid the absorption of the active ingredients into the body. It may also be beneficial to feed turmeric in conjunction with a high quality oil, such as Linseed Oil. As with any new feed or supplement, we would recommend introducing it to your horse’s diet gradually over a few weeks. Pregnancy & Laction - Speak to your vet before administering to pregnant or lactating mares. 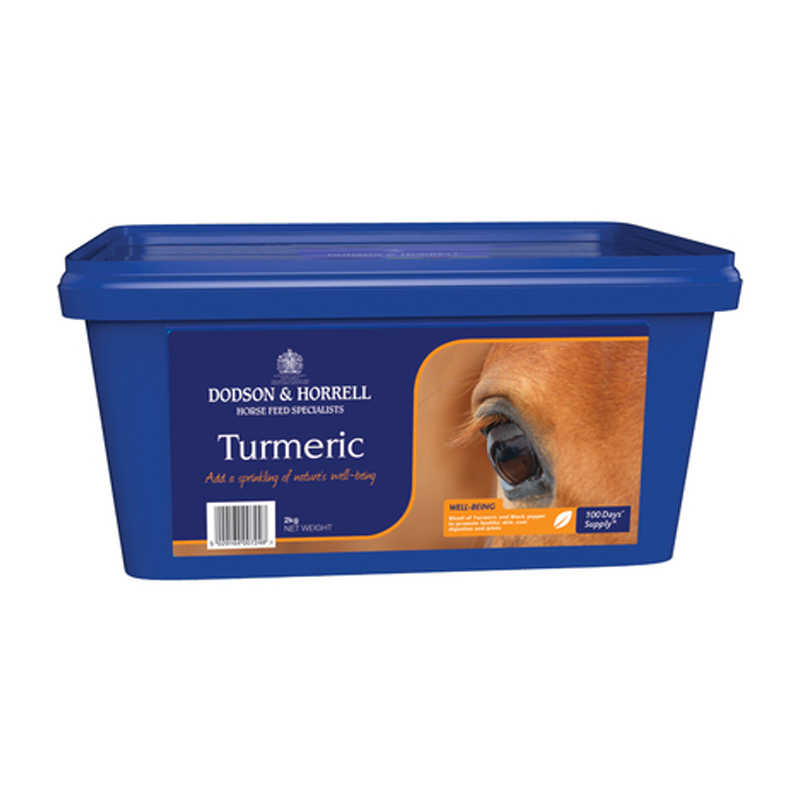 Warnings & Contraindications - Curcumin has been reported to affect iron metabolism so we would not recommend feeding turmeric to horses with anaemia.